Shantae Costume Pack DLC draws near! Welcome friends! Today we’re diving into the Costume Pack DLC! This is the FINAL Stretch Goal for Shantae: Half-Genie Hero, and it will be Ret-2-Go in just a few weeks! 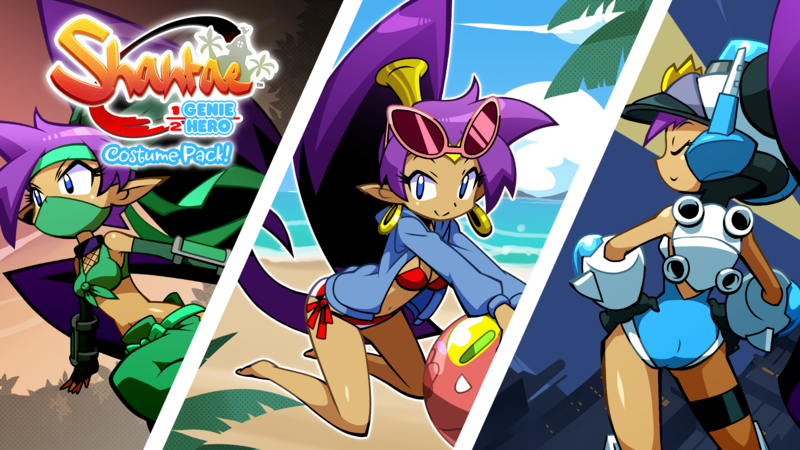 This DLC contains three entirely new adventures starring Ninja Shantae, Beach Shantae, and Officer Shantae. Each of these stand-alone modes contains a full “what-if” storyline, new moves, voices, and character artwork. Let’s take a closer look at these flashy game-changing modes! Update #122! Ninjas, Swimsuits, Officers, Sketches…. the Works! I was honestly hoping the dances would still be there with animals that fit the new theme for each costume, but oh well Shantae is adorable in these costumes.